The bifold PLUS seven pane folding door is available in two schemes, with prices starting from £3390, subject to size and specific design. To configure your choice of door, complete the form below and add to basket for your final price. 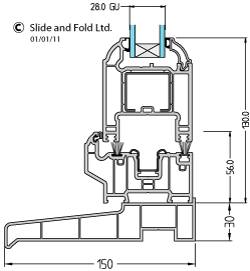 For help read the technical data, which appears when you select an option below, or hover over the information icon, or for the full A-Z and CAD drawings select from the blue technical tab at the head of the page. 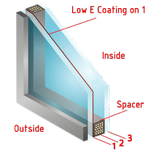 All products are viewed from the outside. Four doors slide from right to left and three doors slide from left to right viewed from the outside. The third door from the right as viewed from the outside acts as the traffic door. 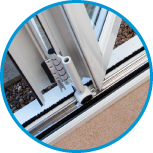 Scheme743 Bi fold PLUS doors are designed with external key locking access as standard. Three doors slide from right to left and four doors slide from left to right viewed from the outside. The third door from the left as viewed from the outside acts as the traffic door. 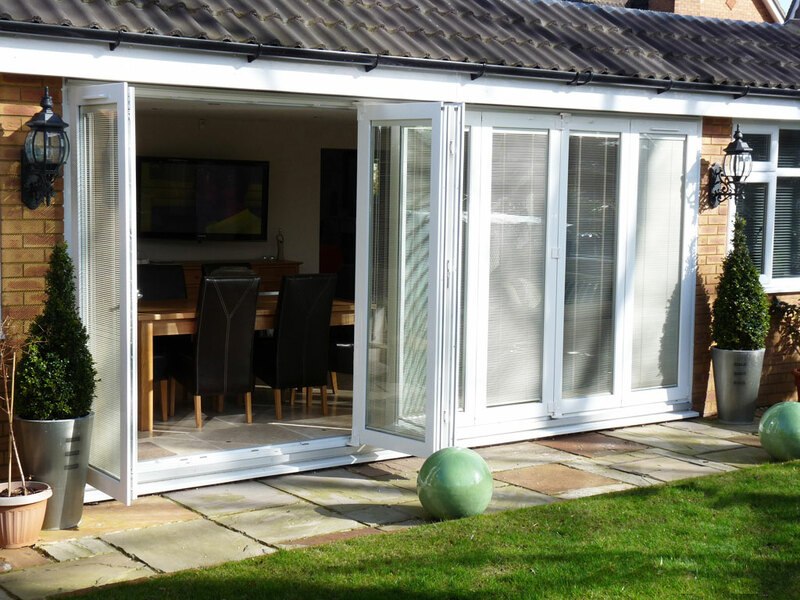 Scheme734 Bi fold PLUS doors are designed with external key locking access as standard. 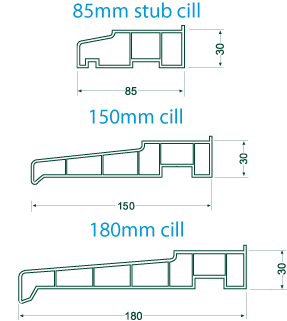 Min: Width=4800mm. 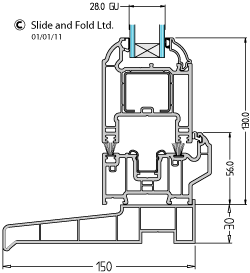 Max: Width= 5950mm. To arrive at the correct price you must select the correct size range e.g. 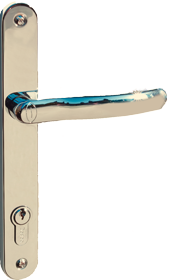 door width = 5785mm , the size range = 5701mm to 5850mm. Seven pane bifold plus doors are available in White only. 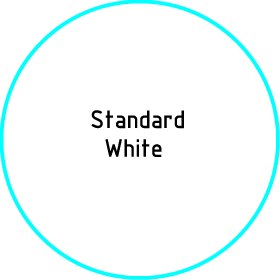 For additional colours in this size range please choose from the TECTura aluminium door range. 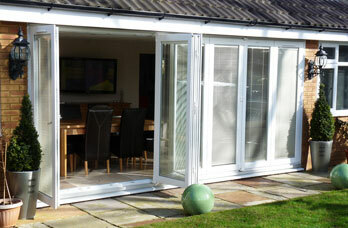 Bifold PLUS doors can be buried 70mm to allow just a 16mm PVC up stand. 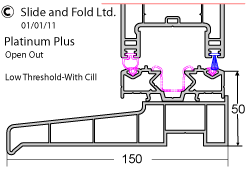 Threshold can be buried to a maximum of 10mm. 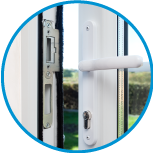 Achieves a higher pascal weather rating as wind pressure pushes door sashes tight against patented weather seals. On Scheme 743/734 the traffic door has handles both sides fitted, which operates a claw locking system. 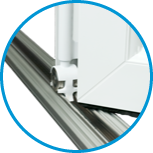 Three other doors have a low line handle fitted to the inside only, which operates a shootbolt locking system. 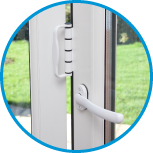 The cost on a 7 Pane door with no survey is £550 or £700 with a full survey included.